The eToro wallet is a mobile application available via Google Play and the Apple App Store. It provides an easy to use customer interface and enhanced security. Multi-signature* security gives users the ability to see their on-blockchain transactions and balances without the fear of losing their private key**. 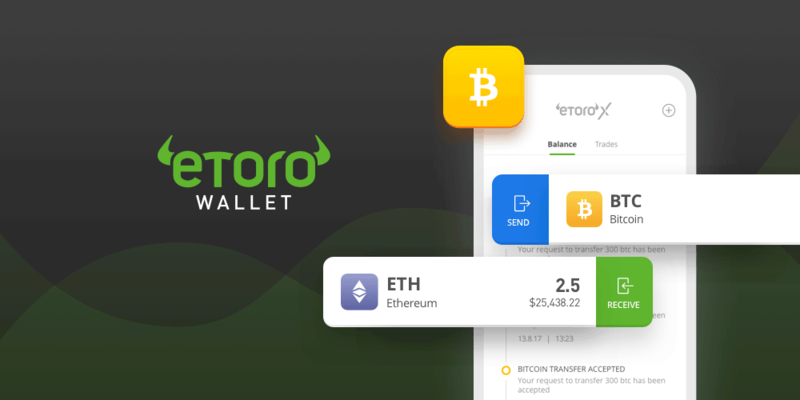 At launch, users will be able to store Bitcoin, Bitcoin Cash, Ethereum and Litecoin in their eToro wallet. The number of supported cryptos will increase over time just as eToro has increased the number of cryptos available on its platform. Initially, the ability to transfer crypto from eToro to the wallet will be available to Platinum Club*** members for Bitcoin. This will gradually be extended to more users and a greater number of crypto assets.